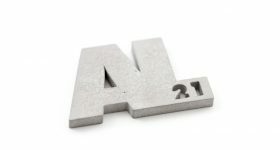 CRP Group, an Italian industrial group integrating additive manufacturing processes and innovative materials for product development, has expanded its Windform composite materials line for applications within advanced sectors such as aerospace, automotive and motorsport, and Unmanned Aircraft Systems (UAS). 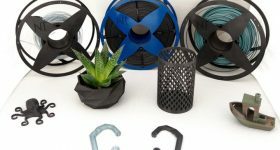 Offering a wide range of polyamide-based glass and carbon fiber reinforced materials for SLS 3D printing, the Windform family meets the demands of customers who require high-performance components for small production and pre-series parts as well as functional prototypes. 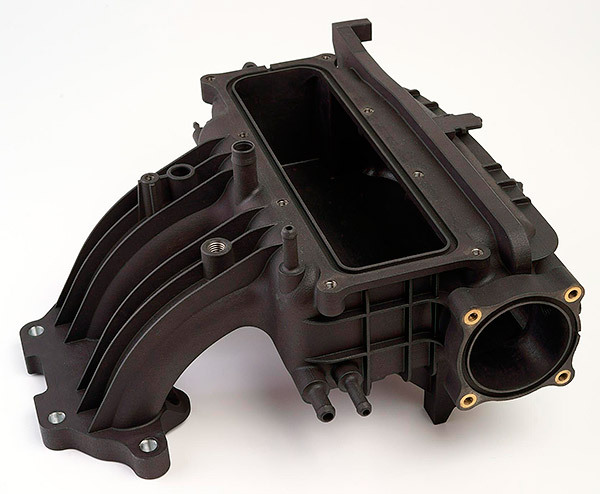 3D printed Automotive intake manifold functional prototype – material Windform SP. Image via Windform. 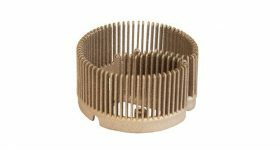 The range of functional 3D printing materials offers desirable characteristics including, strength, stiffness, and an attractive surface finish. Materials such as the Windform LX 3.0 have previously been used to create a motor fuse holder, dashboard prototypes, and a motorcycle seat for Italy’s first street-legal electric motorcycle – The Energica Ego. Energica, the sustainable subsidiary of CRP Group and the first Italian manufacturer of high-performing electric motorcycles, has also been chosen by Dorna as the single manufacturer for the FIM Enel MotoE World Cup that will start in 2019. CRP Group technology is supporting the development of the all-electric race bike Ego Corsa, which will be used by teams that will race the FIM Enel MotoE™ World Cup. The Energica Ego. Image via Energica. 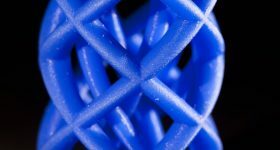 CRP Technology, a specialized company of CRP Group, entered early into the additive manufacturing market in Europe and is now one of Italy’s largest 3D printing and rapid prototyping solutions providers. 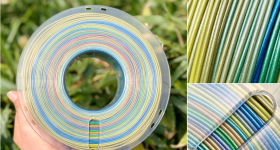 As a result of ongoing R&D in composite materials, CRP Technology has become the material manufacturer, developer, and provider of Windform composite materials for the EU and worldwide. 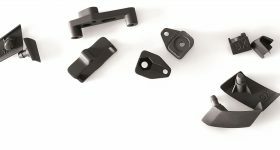 Comparably, CRP USA, the manufacturing partner of CRP Group based in North Carolina, utilizes the Windform product line to create on-car and wind tunnel components and prototypes to serve competitive industries such as aerospace and motorsport. 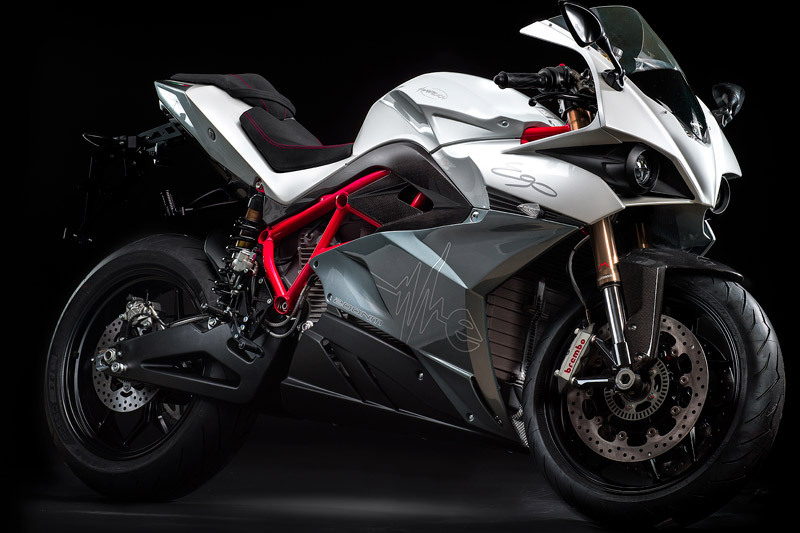 Energica Eva electric motorbike 3D printed front nose finished and used for pre-production series – material Windform XT 2.0. Image via Windform. While the Windform composite materials were originally created for the motorsport industry, CRP Technology customers are now applying the composite materials in the UAS sector. Using Windform XT 2.0 and Windform SP carbon-fiber reinforced composite 3D printing materials along with SLS 3D printing technology, CRP Technology manufactured a functional prototype of the Tundra-M drone. By integrating Windform’s composite materials and laser sintering technology, Hexadrone, a French company sspecializing in civil and military-grade drone, accelerated the product development phase for the Tundra-M prototypes. 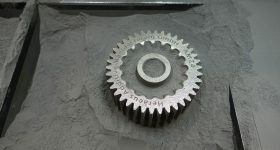 “The Windform selective laser sintering technology allowed us to easily prototype key components of our product, to outcompete the plastic injection molding process in terms of deadlines, cost, and to test our prototype in real life conditions with almost the same mechanical characteristic,” said Alexandre Labesse, CEO and Founder of Hexadrone. 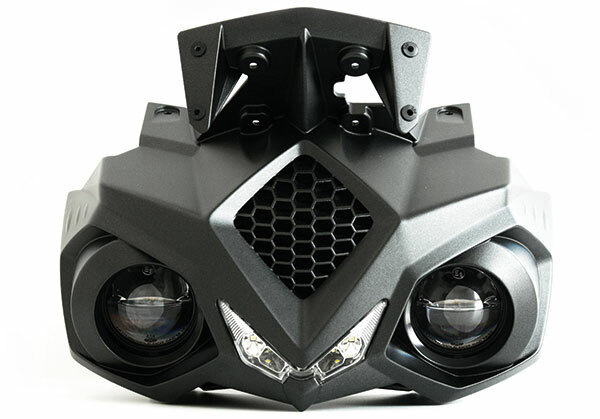 The Tundra-M is the first 100% customizable drone for defense and rescue users. Furthermore, CRP USA manufactured a functional National Advisory Committee for Aeronautics (NACA) duct for the Streamliner race car vehicle. The Victory Motorsport’s Team Streamliner car went on to break a long-standing speed record at Bonneville Speed Week – a motorsport event testing customized land vehicles. Taking advantage of the toughness of Windform SP, the NACA duct was designed with an exterior raise around the perimeter of the duct and internal “bump.” This helped to direct the airflow and reduce the turbulence of the Streamliner vehicle which meant it could operate more efficiently at high speeds. 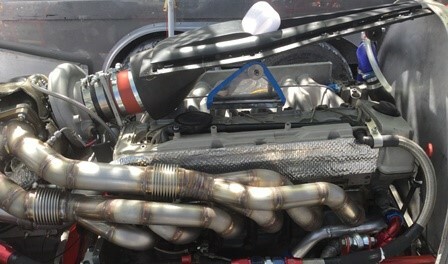 “The design has some extra complexity to help the air flow at the base of the Turbo inlet, and it looked a bit daunting. We had to build it in 3 sections, but our finishing team was able to apply their knowledge and skill to give an expert polish,” said Stewart Davis, Director of Operations at CRP USA. NACA duct placed on Streamliner engine. Photo via Victory Motorsport team. 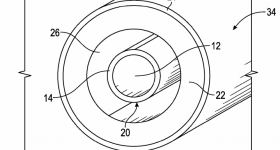 Windform materials are also finding aerospace applications through the creation of the Tubesat-POD (TuPOD) satellite. 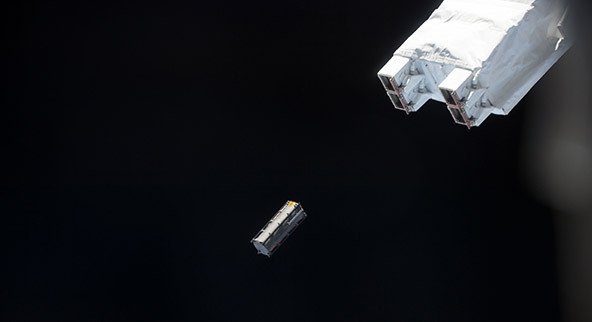 The mission marks a new milestone in the small satellite arena as it is the first fully 3D printed satellite to be launched from the International Space Station (ISS). The TuPOD satellite used Windform XT 2.0 for its structure and was produced through a collaboration with CRP USA, Teton Aerospace (Tetonsys), Morehead State University and the Japan Aerospace Exploration Agency (JAXA). According to CRP Technology, the creator of the Windform composite materials, Windform XT, the first version of Windform XT 2.0, was the first ever carbon fiber filled composite material. CRP also used this material to 3D print parts for the KySat-2 CubeSat in 2013. Deployment of the TuPOD. Photo via JAXA/NASA. 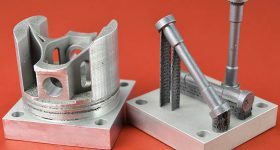 The composite Windform Laser Sintering technology, which are outgassing tested, customizable, skin-contact approved, and applicable to complex 3D printed structural components has proved its innovative abilities throughout the motorsport, automotive, aerospace, UAS and all advanced sectors. Its ability to reduce product cycle times (speeding up the products time to market), has given its customers an edge in product performance that has yet to be challenged. A full list of The Windform Product Line is available online. Featured image shows the Energica Eva electric motorbike 3D printed front nose finished and used for pre-production series – material Windform XT 2.0. Image via Windform.